The exclusive Iconic Suites are the highest level of suites available on the Edge Series and are the absolute pinnacle of modern luxury. Positioned high above the bridge, these all-new suites offer panoramic views from front to back. 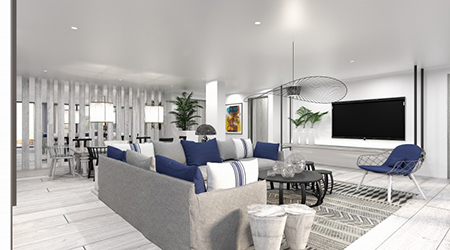 And with over 2,500 square feet of indoor and outdoor opulence, Iconic Suites are also the most luxurious and largest in the Celebrity fleet. 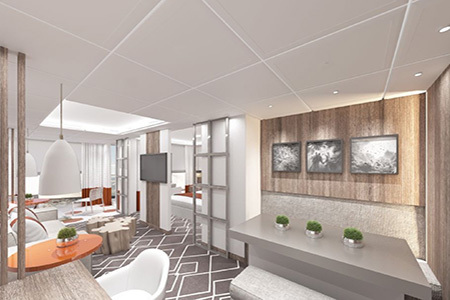 The Penthouse Suites combine all the innovative amenities of staterooms with the exclusive benefits of being a Suite Class guest. They include a master bedroom, bathroom, and dressing room, living/dining area, guest bedroom and bathroom, terrace, and private hot tub. Plus, a butler is on hand to ensure you never have to lift a finger during your vacation. The six Edge Villas are two-story luxury residences and are the first of their kind in the fleet. Each offers a spacious 950 square feet of split-level splendor, plus one bedroom and two bathrooms perfect for up to four guests. In these private oceanfront villas, indoor and outdoor living is seamlessly blended, with two stories of windows that look out over the terrace and plunge pool to the incredible views beyond. The spacious two room suites feature a large living and dining area with floor to ceiling panoramic windows that provide stunning views from every angle. The master bedroom overlooks the private veranda and the sea beyond and the master bathroom features a sliding panel that opens to views of the sea. These two-room suites feature a large living and dining area with floor to ceiling panoramic windows, private veranda, and a master bedroom with a king-sized bed from Celebrity's signature Cashmere Bedding Collection. The split bathroom offers a powder room, a separate spa tub/shower area, and a master dressing area with dual sink and vanity. 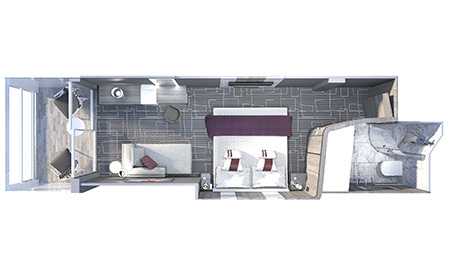 The large Sky Suites feature a king-sized bed with views from the floor-to-ceiling window and sliding glass door. From the sitting area, featuring a signature Kelly Hoppen wooden rocker, step out onto a private veranda. The split bathroom features a large spa tub with shower and a separate toilet area. A sliding panel in the bathroom provides views to the room and the ocean beyond. 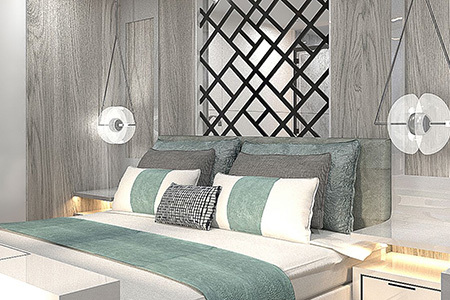 The ultimate in spa-inspired experiences, AquaClass staterooms are designed to indulge at every turn, from the Infinite Veranda that takes the whole room right to the waters edge to Blu, the exclusive restaurant featuring favorite dishes reimagined with a healthier twist. 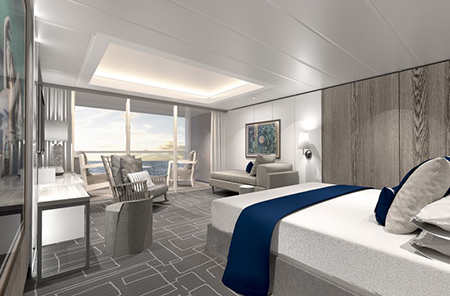 AquaClass staterooms feature a luxury king-sized bed with separate sitting area that can include an optional trundle bed, and spacious private veranda. With a ConciergeClass suite, youll enjoy dedicated service from Priority Check-in at the pier to the time you head home. Featuring a luxury king-sized bed with separate sitting area, and a private Infinite Veranda that takes the whole room right to the waters edge. 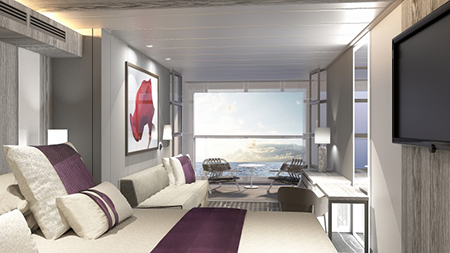 The Edge Stateroom with Infinite Veranda are unique to the Edge-series. 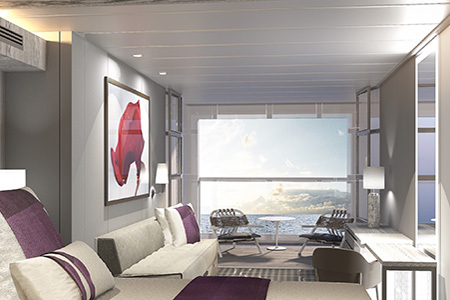 These incredible rooms take the standard veranda stateroom and, with the touch of a button, the entire living space becomes the veranda, letting you walk right out to the waters edge. 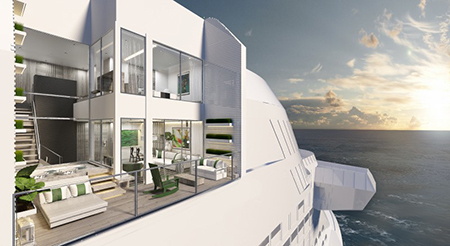 This brilliant innovation gives you luxurious open air access to the sea, whenever you wish. Located at either end of the ship, in the Sunset Veranda Stateroom or Deluxe Ocean View Stateroom with Veranda, youll have the choice to relax in your spacious living area, or step outside to enjoy morning coffee and evening sunsets on your private veranda. Enjoy the friendly, intuitive Celebrity service in a Panoramic Ocean View Stateroom, Deluxe Ocean View Stateroom, or the Ocean View Stateroom. Relax in your spacious living area as you take in the ever-changing ocean views. 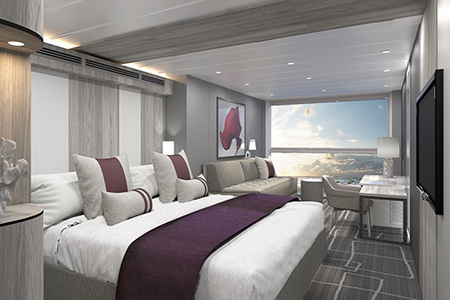 Furnished with Celebritys eXhale bedding featuring the luxury king-sized Cashmere Mattress. 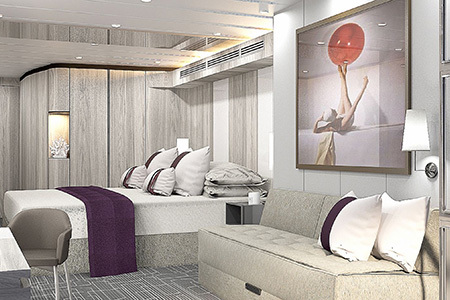 The private and perfectly proportioned Inside Staterooms will become your home away from home while on board, featuring a king-sized bed with Celebritys eXhale bedding and Cashmere Mattress. 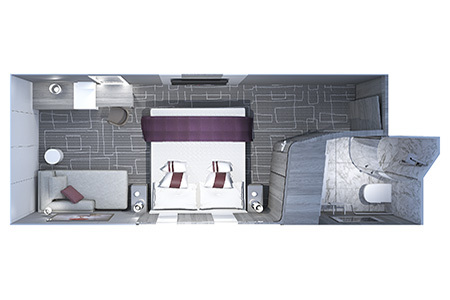 The Deluxe Inside Stateroom offers additional living space, larger bathrooms, and extra drawer space.